The White Beach in Boracay some 315 km (196 mi) south of Manila in the Western Visayas region of the Philippines has been judged by the TripAdvisor community as the 25th Top Beach in the World in 2018, with the added distinction of being the only Asean beach to make it into the global top 25. The Nikkei ASEAN Manufacturing Purchasing Managers’ Index, or PMI, rose to 50.7 in February, up from 50.2 in January, as a relatively broad-based upturn saw five of the seven countries reporting an improvement in business conditions. ELECTRONIC payments giant PayPal sees the potential to dominate the Southeast Asian market as more self-employed workers prefer digital platforms for money transfers. 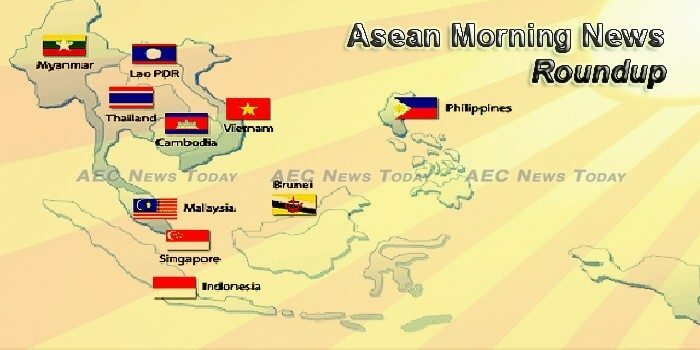 As Asean opens its 51st year, leaders face a major question: How to maintain the growth and rising standards of living enjoyed in Asean’s first 50 years. Indonesia has expressed its hope that a free trade agreement (FTA) between ASEAN and the European Union (EU) can boost small and medium enterprises (SMEs) and subdue a negative campaign against palm oil. The automated customs system is expected come into operation at all seaports and airports by the end of the third quarter of 2018, according to the Viet Nam Customs. Ahead of the United Nations Office on Drugs and Crime (UNODC) and the Thailand Institute of Justice’s (TIJ) first High Level Conference on Sustainable Development, Crime Prevention and Safe Societies for Southeast Asia in Bangkok on Monday, UNODC executive director Yury Fedotov gave an exclusive interview to the Bangkok Post about the challenges facing Thailand and the wider region as a whole. As Singapore takes over the rotating chairmanship of the Association of Southeast Asian Nations (ASEAN) this year, it will push for the roll-out of an e-commerce agreement and an innovation network to give businesses a leg-up when they expand across Southeast Asia. The Australian government has said it will use an upcoming Asean summit in Sydney to confront Prime Minister Hun Sen about his remarks aimed at Australian protesters, which continued on Friday as he goaded them by claiming they had “fallen into his trap” after they burned his effigy last month. The representatives of six Mekong nations formulated guidelines at an academic conference in Chiang Rai on how to share information and technology to jointly manage the transnational river this week. The first AmphiCoach, which was developed in Malta, has been deployed in Southeast Asia, to the seaside city of Kuala Terengganu, in the Malaysian east coast state of Terengganu, Travel Wire Asia has reported. U.S. President Donald Trump’s plan to slap hefty tariffs on steel and aluminum imports will likely make Southeast Asia the new hunting ground for global exporters seeking buyers, creating a glut that could depress prices and prompt some producers to close. Councils of ten Southeast Asian nations’ cities have pledged their cooperation in regional sustainable development during the first-ever ASEAN City Council Meeting in Bangkok. Prime Minister of Cambodia Hun Sen once again mentioned the importance of peace in creating jobs in Cambodia and claimed that only Cambodian People’s Party (CPP) that could maintain peace in Cambodia. Cambodia’s nascent startup scene is nurtured by tech and incubation hubs, which often partner with business leaders and NGOs to provide mentoring and funding to young entrepreneurs. State-electricity company, PT PLN (Persero), poured an investment of IDR721 billion to build a diesel power plant (DPP) in Riau Islands. Funds that size are used to build diesel-powered plants with a total capacity of 45,500 kilo Watts (kW). The government revealed that the progress of its flagship 35,000-megawatt (MW) electricity procurement program had only reached 3.8 percent as of Feb. 1 since its launch in May 2015. Indonesia’s pharmaceutical firm Kalbe Farme has invested $35 million on the construction of a new factory with another $16 million to be spent for operation support, while electronic transaction service provider Artajasa Pembayaran Elektronis has said that it will offer 437,505,800 new shares priced at Rp 100 apiece in its IPO. The use of Kobo toolbox software will enable officials to make more effective decisions regarding the planning and implementation of climate-resilient infrastructure development projects. Waking up in one country and shopping in another may sound like the life of a high-flying chief executive, but not for Vannasinh Phrasavath, who does it every time she needs groceries. Teachers and students in Savannakhet province will have 40 new primary schools, supported by the Australian government and the European Union (EU), to improve basic education quality and boost school enrollment. The imposition of tariffs on the import of steel and aluminium products by the United States (US) will also impact Malaysia. Malaysian state-owned power company Tenaga Nasional Bhd (TNB) has acquired 80 per cent stake in two UK-based renewable energy companies — GVO Wind Ltd and Bluemerang Capital Ltd – for an enterprise value of about $235.6 million (RM923 million). Malaysia’s free trade agreement talks with the European Union (EU) must address trade barriers that discriminate palm oil because this is a priority, a Cabinet minister said. A former Rohingya MP has been arrested in Myanmar, in move that has been condemned as a further escalation of the attacks on the Rohingya community. Myanmar will begin importing liquefied natural gas as soon as 2020 to feed the country’s growing power demand, aiming to allay concerns among businesses about electricity shortages even as domestic gas output begins to drop. FIVE YEARS after Myanmar’s liberalisation of the telecommunications sector, the nation has now over 50 million mobile subscribers, a figure that almost encompasses its total population, and is set for adoption of digital economy with the help of industry leaders worldwide. The European Union is set to provide the Philippines with 243.1 million peso (€3.8 million) for its drug rehabilitation programme, despite having rocky relations with President Rodrigo Duterte. Environment Secretary Roy Cimatu on Sunday ordered the eviction of at least 32 establishments found to have been built illegally on the beach of a cove in El Nido town, Palawan’s prime beach destination. A new documentary by Al Jazeera English examines the life and legend of Singapore’s founding father Lee Kuan Yew. Singapore cannot draw more from its reserves to fund healthcare spending in the future, as this will quickly deplete its nest egg, said Prime Minister Lee Hsien Loong. As a part of its Thailand 4.0 initiative – a plan to transform Thailand’s economy into a digitally powered ecosystem – the country has set itself the target of creating no less than 100 smart cities within its borders over the next two decades. The value of Thai exports in the first month of 2018 surged by 17.6%, the highest in 5 years and 2 months. More people are satisfied with the government’s performance in the past three and a half years, but they are less satisfied with Prime Minister Prayut Chan-o-cha’s performance, according to Bangkok Poll. Vietnam’s Ministry of Public Security (MoPS) thinks that it is killing two birds with one stone by passing new laws regulating data storage. Vietnamese start-ups received $291 million in funding last year, an increase of 42 per cent over 2016, according to a recent report by Topica Founder Institute, a Hanoi-based accelerator. A Vietnamese company is set to invest around $100 million in Bangladesh’s leather sector.